We've passed the autumnal equinox. The garden centers are full of pumpkins and mums. The air is a bit cooler (at least some days). Landscapers and lawn care business owners are slowing down a bit and some are thinking about their options, especially with the extended strong market we have seen. 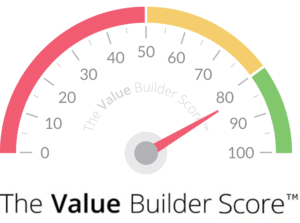 This month, we are introducing an additional tool for self-evaluation in addition to the Value Builder Score. We are beginning to use The ExitMap Assessment to help you identify the path to a successful exit. As always, if you are ready to discuss the sale or acquisition of a lawn or landscape business, we would welcome the opportunity to talk. Give us a call or email or meet us in Louisville during Landscapes 2018 and GIE+EXPO. 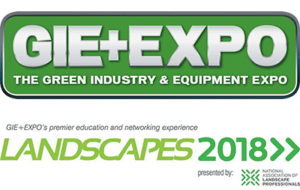 We will be in Louisville, Kentucky, October 16-19 attending Landscapes 2018 and GIE+EXPO. These are always great networking events and we hope you will be there too. If you'd like to meet up in Louisville, contact us or click here to schedule a meeting. There has been a great deal of attention paid to the emergence of BrightView Landscapes as the largest U.S. landscape company, as a result of KKR&Co.’s acquisition of first The Brickman Group and then ValleyCrest, each of which had been through close to two decades of consolidation. Many industry people view consolidation with some disdain. There are many reasons for that, but most can be tracked back to vigorous competition in one way or another -competition for quality clients, labor and management talent, to name some obvious ones. When people ask me about the impact of consolidation, I usually include in my response that there will always be room for new entrants in the industry. We are a long, long way away from consolidation really affecting the level of competitiveness in the industry. 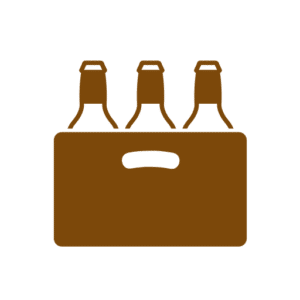 To see what might happen some day, let’s look at what has happened in another industry – beer. The beer industry has gone through a dramatic consolidation over a number of years. The industry leader ABInBev now controls 28% of the global market. The top five companies control over 50% of the global market. The landscape services industry leader BrightView is said to control 2.7% of the U.S. market. 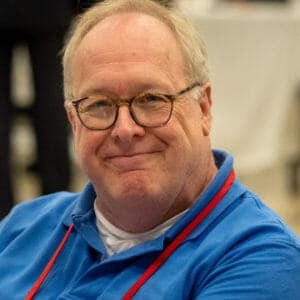 One of the amazing things about the beer market is that despite consolidation, there has been a fairly incredible period of innovation and entrepreneurship. Who would have ever thought there would be half a dozen microbreweries in my home town, in addition to several brew pubs? Why has this phenomenon happened? I think there are several reasons. Consolidation often makes talent available. Consolidated companies may not require as many managers as they realize the synergies of consolidation. Many managers simply do not want to work for a “big company”. Savvy entrepreneurs also realize that there are many customers who want something different than the large company can efficiently provide. The opportunity for innovation can really explode during a period of consolidation. Innovation can emerge from many things– the press of competition for customers, the stress of labor shortages, among others. Larger, consolidated businesses have many advantages based on scale, but independent operators have many advantages too. They are, by necessity, close to their customers. They can also be nimbler, making decisions and exploring opportunities as they arise. Independent operators should consider an era of consolidation as an era of opportunity too. Here is a recap of recently reported merger & acquisition transactions in the lawn and landscape industry. CNL Strategic Capital, LLC has acquired a controlling interest in Lawn Doctor. CNL Strategic Capital is managed by an affiliate of CN Financial Group and sub-managed by an affiliate of Levine Leichtman Capital Partners, which manages CNL Strategic Capital's investments. More information. Westhook Capital has invested in Metco Landscape in Denver, Colorado area. More information. Landscape Development, Inc. has acquired Chateau Landscape in Santa Clarita, California. More information. idverde has acquired Out There Landscape in Northern Ireland. idverde is a portfolio company of Brussels-based Core Equity Holdings. More information. Heartland, LLC has acquired Columbia Landcare in Columbia, Missouri. Heartland is a portfolio company of Great Range Capital. More information. Coeur d’Alene, Idaho- based Tree Medic has acquired Specialty Tree Services, also of Coeur d’Alene. More information. In the Pittsburgh, Pennsylvania area, Edkins Tree Care has acquired Nassar Tree Care. The combined company will be known as Nassar Tree Care. More information. We use the ExitMap® Assessment© to examine your company’s current exit preparedness in four key categories; Operations, Planning, Finance and Revenue/Profit. It has is a 22 multiple choice questions, questionnaire which will takes only 15 minutes to complete and requires no confidential information. A full- color 12-page summary report will be emailed to you upon completion. Click here for more information and to get started. Do you have a business that is valuable and sellable? Find out by taking a brief online questionnaire to receive an immediate Value Builder Score of between 1 and 100 for your business. You will also receive a 26 page report full of charts and graphs that will give you insights into how buyers evaluate your business. Click here for more information and to get your Value Builder Score. Understanding the value of your business is a key step in exit planning. We offer cost-effective valuation services which help you understand the value of your business and the factors that drive that value. The information included in this newsletter is derived from publicly available sources. Our intent is to give a perspective on the industry taken as a whole. The inclusion of a transaction in this newsletter does not imply that The Principium Group acted as an advisor to either of the parties to the transaction. It is the policy of The Principium Group always to maintain the confidentiality of its client relationships. For those transactions in which The Principium Group did play a role, the information included herein is still limited to that available through public sources.